COLUMBUS , Ohio -- Ohio State University researchers who are trying to solve a longstanding mystery in chemistry and biology are getting answers from a seemingly unusual source: mathematics. Ultimately, the project could provide a tool for clinical research, because it could explain why cells sometimes react to medicines in unexpected ways. A chemical such as a drug could function very well inside a cell most of the time, and then suddenly not work well at all, as if a switch had been flipped. For researchers who are trying to develop new biochemical agents, this means that results can vary widely from experiment to experiment. Martin Feinberg and his colleagues wanted to know why. Through computer simulations, they discovered that the answer -- mathematically, at least -- could come down to the rate at which chemicals enter a cell. The results of their simulations appear in a recent issue of the Proceedings of the National Academy of Sciences (PNAS). 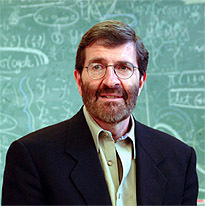 Feinberg, the Richard M. Morrow Professor of chemical engineering and professor of mathematics at Ohio State, and Gheorghe Craciun, formerly of Ohio State's Mathematical Biosciences Institute, created visualizations of chemical reactions called species-reaction graphs ("species" are the different chemicals in a reaction). The graphs are maps of a sort, where lines and curves connect chemicals like roads connect destinations. Craciun is now an assistant professor of mathematics and biomolecular chemistry at the University of Wisconsin. Based on the number of connections and how they overlap, Feinberg and Craciun can tell with a glance whether a reaction is predictable, or whether it might be what they call "quirky" -- prone to the switching behavior that occasionally produces strange results. They created a theorem that lays out mathematical rules that researchers can use to make the same judgment. As it turns out, many of the graphs that describe biological reactions are quirky. "Some of the graphs that come from classical biological reactions -- even simple ones -- indicate that these reactions might behave in very quirky ways," Feinberg said. "This behavior may be essential to biology itself." To test the theorem, he and his colleagues simulated a very simple chemical system on a computer: the behavior of a simplified biological cell containing an enzyme, DHFR (dihydrofolate reductase). DHFR is important in cell division because it helps provide an essential building block of DNA. In fact, a classical chemotherapy agent, methotrexate, is used to thwart the operation of DHFR so that the out-of-control cell proliferation characteristic of cancer cannot take place. "Some of the graphs that come from classical biological reactions -- even simple ones -- indicate that these reactions might behave in very quirky ways," Feinberg said. "This behavior may be essential to biology itself." Student Yangzhong Tang created the simulation software as part of her doctoral work. She described it as a simple computational tool which shows how rapidly DHFR converts reactants to products, depending on the rate at which reactants enter the cell. In particular, the software helps determine circumstances under which DHFR can operate in two very different conversion modes -- a rapid one and a slower one. For the simulation, the researchers started with a low supply rate of reactants and then gradually increased the supply rate. At first, the DHFR converted reactants to products at 95 percent efficiency. Then, it abruptly dropped to 65 percent. When they decreased the flow rate, it just as abruptly returned to 95 percent. "It was like a switch had been flipped, and the trigger was an increase or decrease of only 0.02 milliliters of reactant solution per minute," Feinberg said. "We were surprised to see that we could create such a dramatic switch just by changing the reactant supply rate a tiny amount. "Keep in mind that this is in the absence of any methotrexate at all," he continued. "To understand what happens in the presence of the anti-cancer drug, one should be aware of the quirky phenomena that might be exhibited even when no methotrexate is present." Seeing an unexpectedly low conversion efficiency of an enzyme during a laboratory experiment, scientists might erroneously conclude that there's something wrong with the enzyme or that the gene responsible for manufacturing the enzyme had gone awry. In fact, the real culprit might be a chemical switch, intrinsic to the mathematics, that is triggered by the reactant supply rate, Feinberg said. The next step for the researchers is to try to observe this behavior in the laboratory. They are designing a plastic model cell with specialized filters so that they can carefully measure chemicals that enter and exit. Several Ohio State professors have been assisting with development of that stage of the project, including Jeffrey Chalmers and S.T. Yang in the Department of Chemical and Biomolecular Engineering and Irina Artsimovitch of the Department of Microbiology. Even after they do their laboratory experiments, Feinberg says he and his colleagues will be a long way from making any claims about what happens inside real biological cells. Their work implies that scientists should be cautious when interpreting the results of biochemical experiments, nothing more. Still, he acknowledged that the theorem in the PNAS paper could ultimately help answer fundamental questions in chemistry, biochemistry, and evolution. "Cells probably need a mechanism to switch readily between states in response to external signals," he ventured. "It could be an evolutionary advantage. So I think biology wants this to happen."